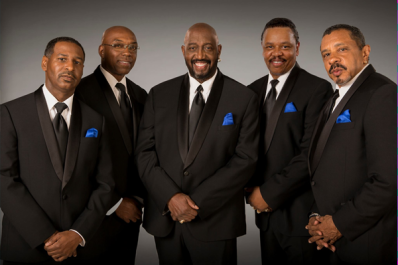 For more than fifty years, The Temptations have prospered. An integral part of Barry Gordy’s Motown, The Temptations propelled popular music for decades with a series of smash hits and sold-out performances throughout the world. Beginning their musical career in Detroit in the early sixties, it wasn’t until 1964 when the iconic Smokey Robison wrote and produced “The Way You Do the things You Do” that they were catapulted into stardom. A flood of hits soon followed with songs like “My Girl”, “Ain’t Too Proud to Beg”, and “Just My Imagination” to name a few. The lineup of the group has changed throughout the years but like original member Otis Williams says, “Great singing will always prevail.” Williams, alongside current members Ron Tyson, Terry Weeks, Larry Braggs, and Willie Greene Jr. carry on the proud history of The Temptations and continue the legacy of being what Billboard Magazine called, “the greatest R&B group of all time.” The story of The Temptations has been carried over to film and Broadway reaching fans old and new and solidifying their immortality as one of R&B’s legendary groups.